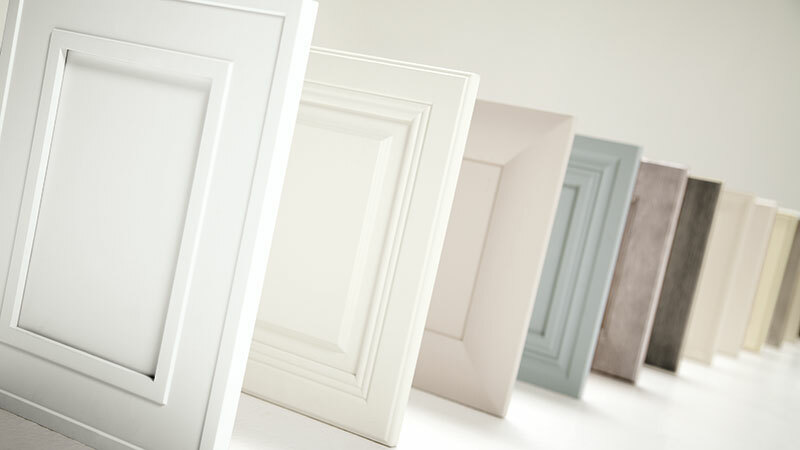 A palette of colorful possibilities awaits you when selecting the ideal cabinet finish for your project. Bring out the natural characteristics of the wood type you've chosen, or add personality with hues that complement your design. We're sure you'll find your perfect cabinet finish at Omega. Visit the cabinet finishes gallery to view our standard offering, or check out the Omega Color Story for ways to expand your palette even further. Cabinet finishing techniques like sanding edges, distressing the finish, or adding dents and gouges to cabinets, can create a time worn and perfectly aged look. Finishing techniques are a great way to give cabinetry a truly unique appearance. Omega offers both Vintage and Vintage Touch as well as Antiquing and Brushed Finishes to emphasize your style.